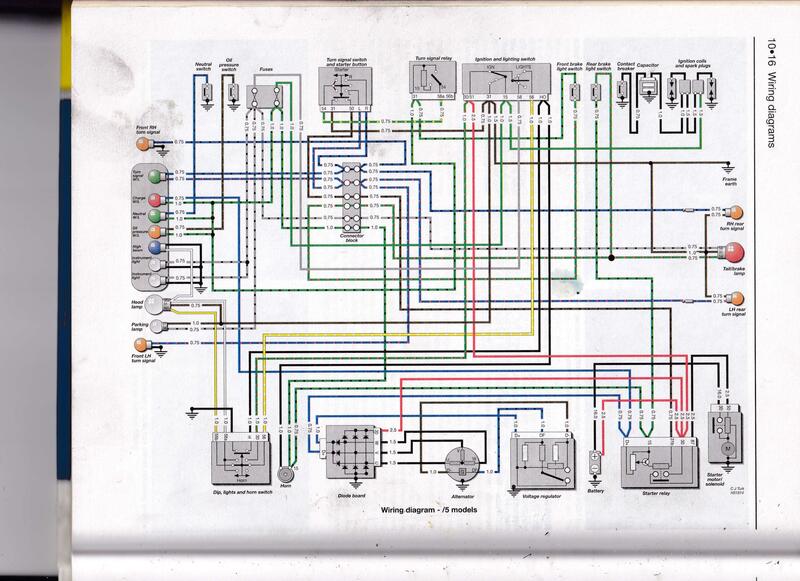 I put together a series of pages about BMW airhead motorcycle electrical systems. It strikes me that electricity in general, and motorcycle electrics in particular, are dark mysteries to many, so I thought I’d shine some light [puns intended 🙂 ]. Lack of understanding hinders confidence when diagnosing and working on electrical projects. As these bikes age, the electrical system is prone to problems as corrosion and neglect makes them behave badly. More owners are having more electrical problems but seem less able to get to the root cause of the problem. I’m not an electrical engineer, but I have taken time to learn the basics, have collected comments and input from well respected airhead mechanics and dug into how BMW applied electrical theory when they designed the /5 electrical system. I’ve learned a lot from various reference sources that are scattered about the internet, so my articles include a bibliography of various useful resources. That way both you and I have a nice set of reference materials to consult when problems come up. Here are links to the documents which also appear on the index on the right side of the blog pages. I hope to write an Electrical Circuits and Electrical Components document for the /6 and /7 series up to 1984. 2019-01-22 Add links to /6 Series documents. I thank you very sincerely for all the time and effort you put into this. I was fortunate to find a nice ’72 R60/5 Toaster in August 2017 and a ’73 R75/5 in December. As I type this I have my headlight bucket removed for paint on the ’73 and I really don’t think I would have moved forward with digging into the rats nest or wiring in that bucket if I hadn’t found your work here. At 61 years old I still have a couple of books and 3 ring binders with material my Dad collected (many pages are magazine articles) for reference on various technical/mechanical areas of interest for our old dirt bikes back in the late 60’s. I have printed this series of articles (along with blown up diagrams) from you and put them alongside my “library” inherited from my Pops … hopefully someday they will all sit on a shelf in my grown son’s shop! No doubt they will be plenty smudged from years of use … again, thank you Brook.